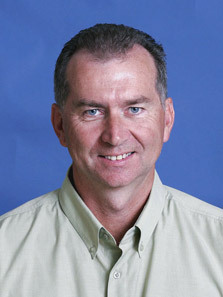 Alan Fraser was trained at the University of Otago and graduated in 1980. He trained in Waikato and Auckland Hospitals, then moved to the Royal Free Hospital, London, to a research fellow position for the next three years. He was awarded the Fellowship of the Royal Australasian College in 1990, and MD, University of Otago, in 1994. In 1998, he returned to England on sabbatical, this time to Oxford, to develop a research interest in inflammatory bowel disease, Crohn's Disease and ulcerative colitis. He is Associate Professor of Medicine, University of Auckland and is responsible for all teaching in gastroenterology at the School of Medicine from second year to the final year. He continues an acive involvement in research, particularly on the influence of diet and genetics in Crohn's Disease. He is a member of the Executive of the New Zealand Society for Gastroenterology and oversees training of gastroenterology registrars in NZ. He has presented widely at conferences throughout the world on a range of research topics and has published close to 100 articles. Consultations at Mercy Specialist Centre, 100 Mountain Rd, Epsom. Ph 6301838.